Your individual needs are unique to you and require different solutions than another individual’s problems. To serve you better, we offer a variety of methods that can be used to help improve your condition, so you can feel great and live a more active life. Our range of services will be customized to suit your needs! Your body has amazing natural power to heal. To allow these natural abilities to occur, we need to make sure there’s no interference affecting your body. An interference in our spinal cord’s alignment is called a subluxation. A subluxation occurs when stress causes the bones of the spine to lose their normal position, allowing interference to occur within your nervous system, thus causing your body to lose its natural ability to heal and function. Through specific, effective chiropractic adjustments, these interferences can be removed so that your body can enjoy its full healing potential. Ionic Foot Detoxification removes dangerous toxins from the body so they do not create illness and disease. A digital foot scan helps us detect imbalances which may need correction. The joints and muscles of the human body function most efficiently when they are in balance. The body is a biomechanical chain where an abnormal movement can alter the rest of the body function. During standing and walking our body is subjected to natural forces that can inflict mechanical stress. For example, if you stand for your job more than five hours per day you have excessive stress on your joints including your hips, knees and back. When a foot imbalance is present the negative impact on your joints is magnified. Buzek Chiropractic Clinic carries a full line of essential supplements for everything from daily maintenance care to specialty needs. There are a diverse range of prices and selection for all ages! Feel free to stop by to see how you can enhance your health today. We provide specific recommendations on nutritional supplements and healthy food choices to tailor our patients’ needs and to assist them in returning to optimal health. 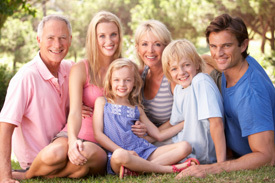 Dr. Buzek can provide a focused plan to suit your individual needs.